Now, I don't think that they'd all really fit in a single post so I'm breaking them up by palette - but I don't want to give anyone Balm overload so I'll stagger them out over the few weeks. Hopefully, there won't be any amazing sales in the meantime where the swatches might come in handy. 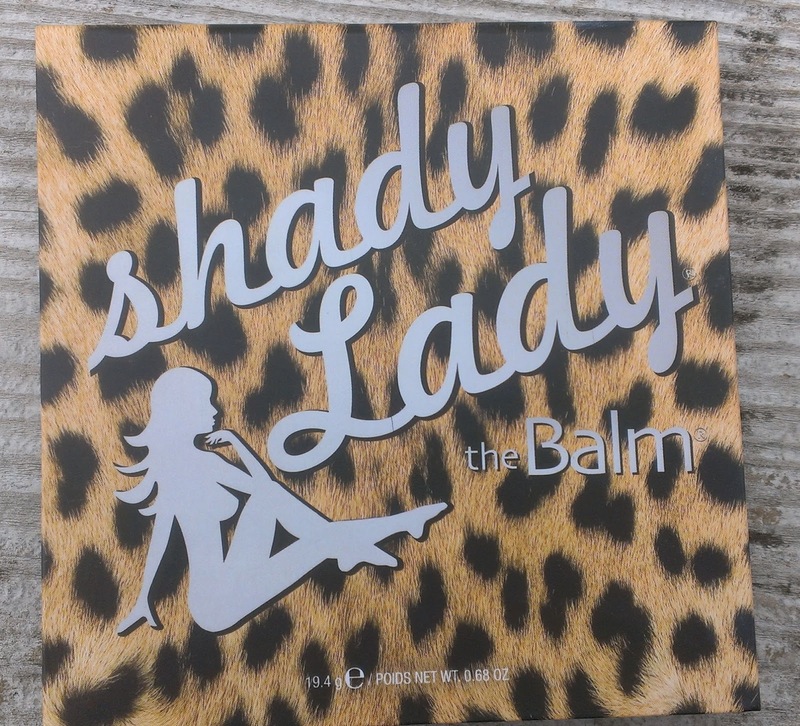 The Shady Lady Palette Volume was actually the first Balm product I ever purchased. I bought it as a gift to myself on my last day of work before I was getting laid off, so it kind of has sentimental value to me. (Getting let go from that job turned out to be a really good thing for me in the end). 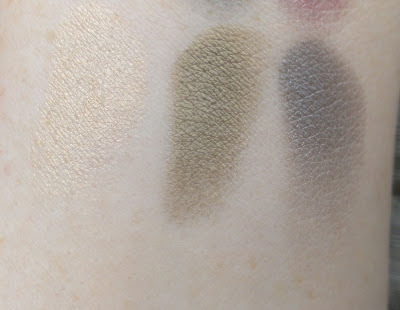 The palette that you'll see swatches of in this post isn't that original palette, though - I took it with me on a trip to Vegas and several of the shadows wound up getting smashed to bits in my suitcase. A few months back, I purchased a replacement during some sale event or another because looking at those shattered shadows broke my heart every time I opened the palette. 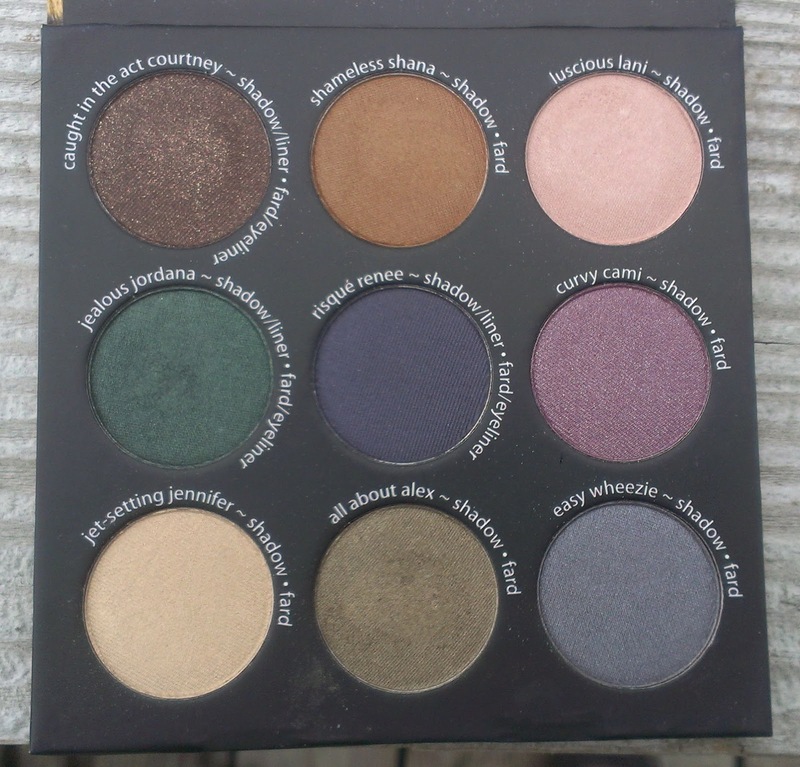 Like all of the Shady Lady Palettes, Volume 1 contains nine shadows: Caught in the Act Courtney, a dark chocolate brown with gold micro glitter; Shameless Shauna, a mid-tone golden brown; Luscious Lani, a light pink champagne; Jealous Jordana, a rich forest green; Risque Renee, a deep navy; Curvy Cami, a pink-based mid-tone purple; Jet-Setting Jennifer, a pale gold; All About Alex, a mid tone khaki; and Easy Wheezie, a light blue gray. 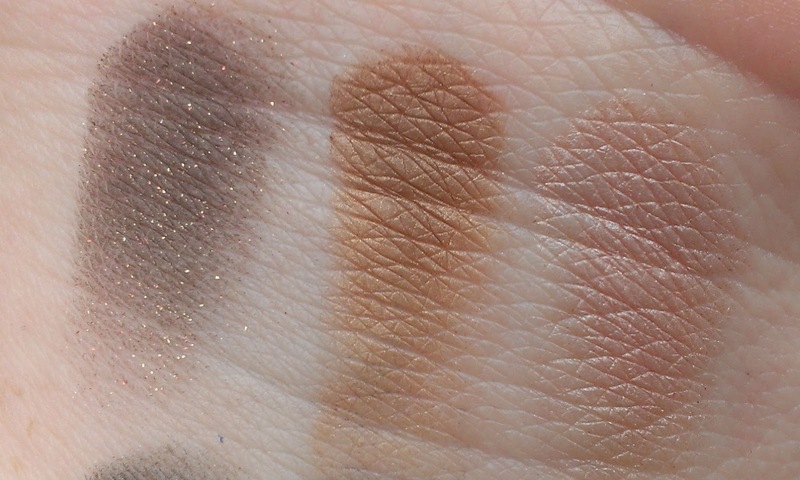 FYI - all of the swatches are without a primer or base on bare skin. 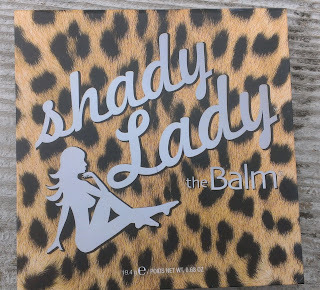 I've mentioned before how much I love the Balm's shadow formula, so I won't go on too much about that. 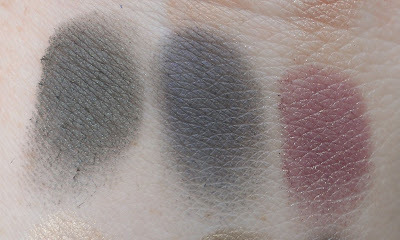 I think this palette is ideal for creating a variety of smoky eye looks, particularly if you're not a fan of the traditional black or gray smoky eye. 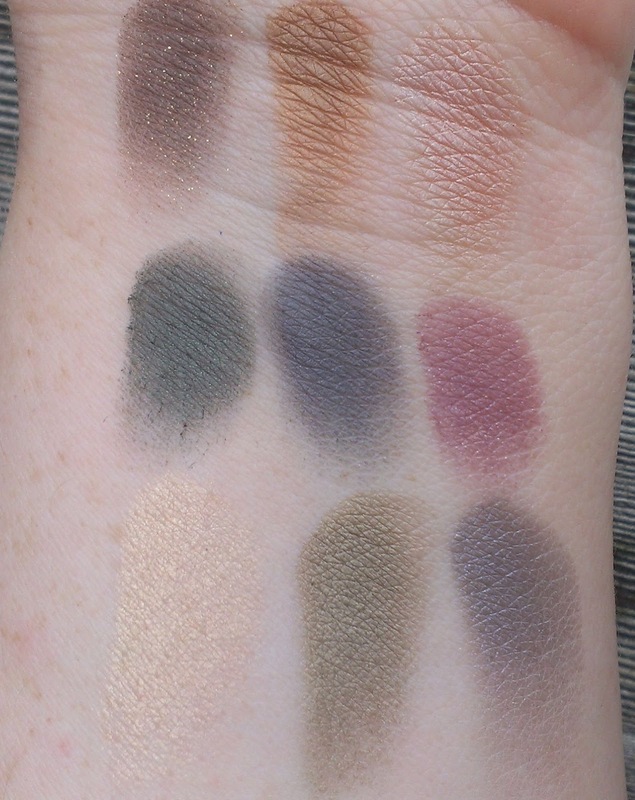 My favorite shades in the palette are Luscious Lani, Risque Renee, Curvy Cami and Easy Weezie. Jet-Setting Jennifer gets an honorable mention because it's a lovely brightening shade and is named after me. What's your go-to palette for a fabulous smoky eye?